I am always amused by strange or unknown facts about places I visit. Some of them are humorous and some just plain disgusting. I decided I would share some strange but true facts about The Vatican City. I have been to Vatican City a couple of times now and am in absolute awe of it’s art, architecture and religious significance to the World. I am also in awe of it’s history and hidden stories. 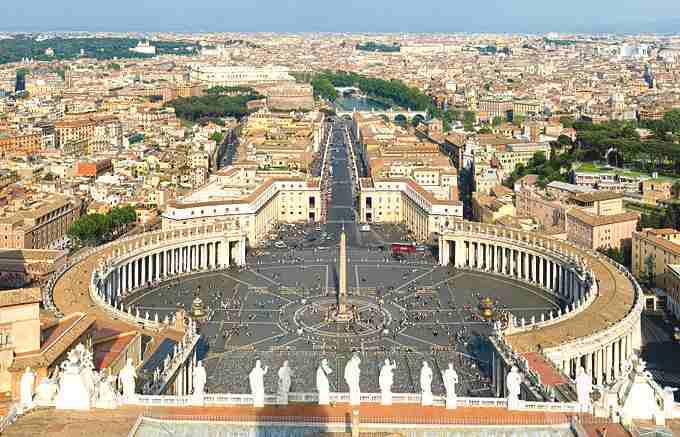 Vatican City is the smallest country in the World with the smallest population. It measures 44 Hectares (110 Acres) and has a population of about 1000 people. TheVatican has its own Post Office and issues its own stamps. The Vatican mail system is widely used by Romans because it is a lot quicker than Italian mail. The Vatican’s radio station is located in a tower inside the Vatican Gardens and broadcasts in 20 languages throughout the World. The Vatican’s railway station was opened in 1930 and is mostly used for freight. 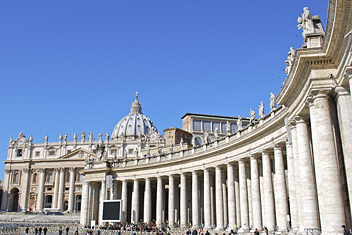 Piazza di San Pietro (St. Peter’s Square) and the Colonnade were designed and built by Bernini (completed in 1667). At 314 meters long and 240 meters wide it is the largest square in Rome. 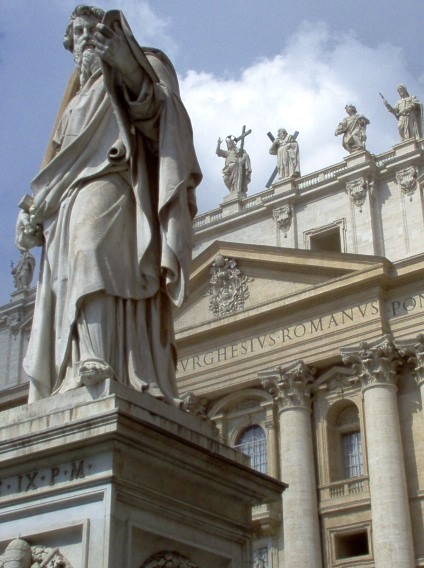 Bernini (with the help of his pupils) designed the 140 statues of saints which decorate the Colonnade. The Vatican City issues its own passports; the Pope, Cardinals, members of the Swiss Guard and Clergy being the recipients. 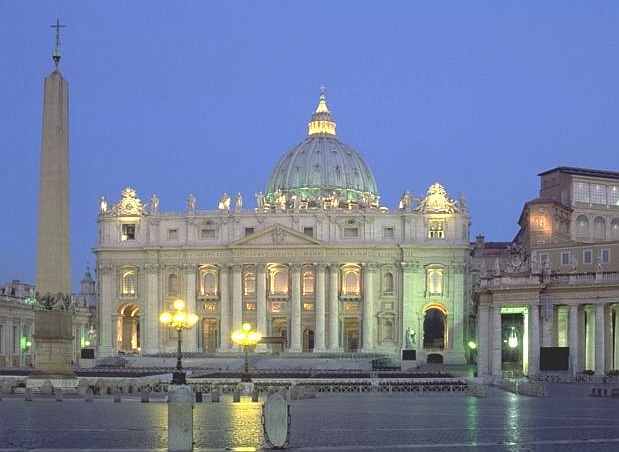 The Vatican City is a UNESCO World Heritage Site; the only site to encompass a whole country. In 2007 the Vatican opted to become the first Carbon neutral state by offsetting their carbon footprint with the creation of a forest in Hungary. The Vatican stamps is own coins. The 1 (Euro) coin which has a portrait of the present Pope is in high demand with Collectors. The Vatican museums are over 9 miles long, and it is said that if you spent only 1 minute admiring each painting it would take you 4 years to complete the circuit. 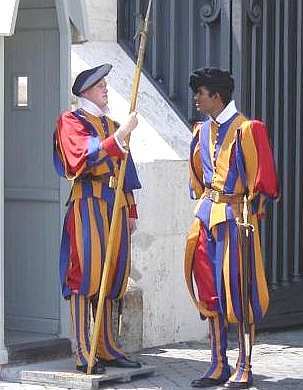 Established in 1506 by Pope Julius II the Pontifical Swiss Guard were originally employed as personal bodyguards to the Pope, at present they serve as the military force of the Vatican. The Pope is an elected non-hereditary monarch and has complete judicial, executive and legislative control over the Vatican State – which means he is at present the only absolute monarch in Europe. 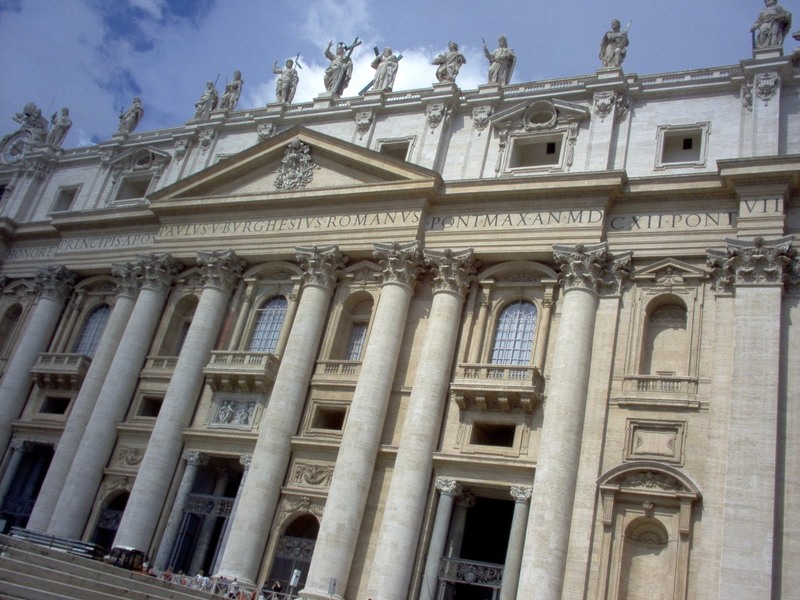 The balcony upon which the Newly elected Pope stands is called “Loggia of the Benediction”, it is from here that many millions around the world hear the first blessing “Urbi et Orbi”, to the city and the world. Is it true that some Popes have fathered children? yes, many, too numerous to mention here. Pope Innocence VIII had eight! It is also rumored that Christopher Columbus was the son of the errant Pope. It’s thanks to Pope Innocence that Columbus received the funding for his trip to the new world. It is documented that after Pope Leo came a Pope Joan. John Anglicus, born in Mainz, was recorded as being Pope for two years, seven months and four days. it is claimed that John was in fact female. John/Joan was taken to Athens by a lover of hers and made to conceal her identity by dressing in men’s clothes. Joan was an extremely bright scholar and rose quickly in society. In Rome she rose quickly amongst learned masters and students and soon she was the choice of everyone for Pope. While Pope she became pregnant by her companion and it is said she gave birth during a procession from St. Peter’s Basilica to the Lateran, in a narrow lane between the Colosseum and St. Clement’s church. After her identity was discovered she was killed and buried in that same location. Popes were carried around in a chair with a hole in the bottom, supposedly to allow cardinals to check for manhood. From 16th century documentation there is evidence of a bust of Johannes VIII, femina ex Anglia among a line of Papal busts in Siena Cathedral. Papal processions stopped using the street in question (Via Vicus Papissa – lady Pope street). There was a statue and shrine on this street of a mother and child, representing the Popess and her infant. The statue is no longer but the shrine still exits. 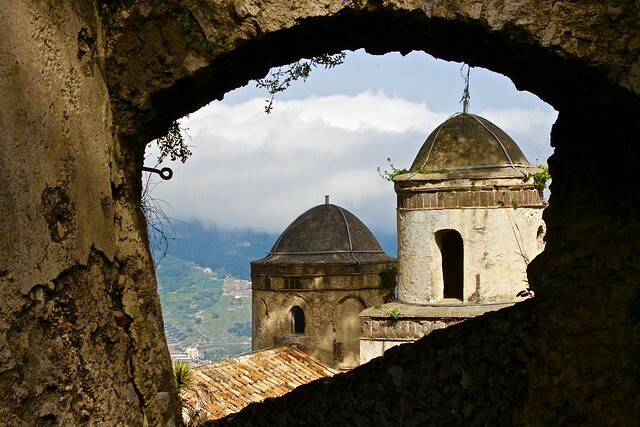 Legend says that a stone slab marked the spot where Joan gave birth and was buried, however, Pope Pius V had it removed in the late 16th century. To this day an illustration of her labor remains in Saint Peter’s Basilica at the foot of the baldacchini, the main altar. 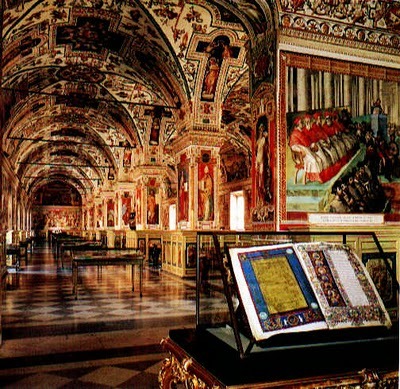 Unlike most of the other Popes, no public illustration or painting exists in the Vatican of Pope Johannes. I hope you’ve enjoyed these fun facts about The Vatican City, if you ever find yourself going to Italy, this is a must see City. a man can be a pope and a father and lives on. A woman cant be a pope and the one who became pope and a mother was killed . How religious ! Marvellous ! Thanks a ton 4 this immensely readable blog replete with subtle wit and great info.As an avid Vatican watcher your account is a treat I shall treasure having saved it for offline reading. Thank you so much for stopping by my Blog. I greatly appreciate it. I will be back in Rome in just 3 weeks and I can not wait.